Begun by Paul sometime in September 1965, the lyrics to this song were a direct plea to girlfriend Jane Asher; when the song was shown to John, he added the middle eight (“Life is very short, and there’s no time…”). For his part, George suggested that the couplets in the middle eight suddenly end in a waltz or 3/4 time, marking the first time any Beatles song had switched time signatures in mid-record. The song was important in Beatles history for other reasons, as well: it was the first song released (through not the first recorded) from the historic Rubber Soul sessions, and John’s one-note harmonium (a reed organ powered by air pumped through foot pedals) created a pre-psychedelic drone that the group would revisit time and time again. Although most of this song was completed in one day (February 20, 1965), Paul added a vocal doubletrack nine days later. In America, the “We Can Work It Out / Day Tripper” single was released on the same day as the Rubber Soul album, although neither song was ever present on that album. A short film of the Beatles lip-synching this song was made for promotional purposes and first broadcast, along with a similar lip-synch clip for “Day Tripper,” on the Granada Television special “The Music Of Lennon and McCartney,” which first aired December 17, 1965 in the UK. Since these performances were not filmed in front of an audience, they can be considered the world’s first music videos as we understand the format today. However, two sessions later, another composition from the pen of John and Paul seemed to fit the bill as well. “We Can Work It Out” was that song, which the group spent nearly eleven hours (within two recording sessions) to perfect. Since it seemed to be a more “commercial” track, it looked as if it would overtake “Day Tripper” as the next single release by the group. Then the pendulum swung back again. “After a lot of talk, we decided ‘Day Tripper’ is really the top track. This is what I had wanted all along,” George Harrison explained at the time. John also began to object and insist that “Day Tripper” be the song to represent their current sound, undoubtedly because of its heavier feel and the encrypted lyrics. 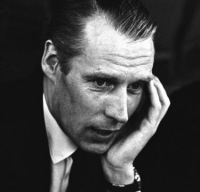 Having reached a stalemate, a compromise appeared to be in order – one that set a new precedent in the British record business. Both songs would be released on the same single, but not with the usual A-side and B-side. The problem stemmed from Jane determined to continue pursuing an acting career, something she began well before ever meeting Paul. She decided to join the Bristol Old Vic Company in October of 1965, which meant that she moved from her home town of London (where she lived with Paul in her family home) to the west of England. Not being content just to be a girlfriend of a Beatle, an opportunity that most female fans would give their right arm for, this caused a good degree of insecurity in Paul who, with his group, just began work on the “Rubber Soul” album. Whereas the other two songs written at this time expressed much bitterness (“I have had enough, so act your age” from “You Won’t See Me” and “I thought I knew you, what did I know” from “I’m Looking Through You”), Paul here expresses confidence that they can “work it out.” However, because of possibly not being used to any indifference in past romance, his lyrics are written as absolute testimony that his opinion is the correct one and hers is the wrong one. 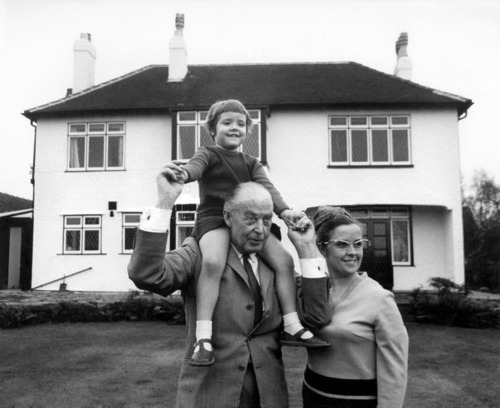 The beginning germs of the song were conceived at Rembrandt, which was a house Paul purchased for this father in July of 1964 in Heswall, Cheshire. 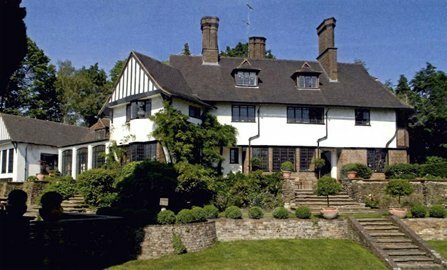 According to Barry Miles in his official McCartney biography “Many Years From Now,” this five-bedroom home “was a large mock-Tudor house with a decent-size garden in a leafy suburb about 15 miles from Liverpool.” As to the actual writing of the song, the book continues: “There was a piano in the dining room where Paul often tinkered with new tunes. If he was composing on the guitar, however, he would usually go to the back bedroom to get away from everyone.” Since Paul recorded a demo of the song on acoustic guitar, we can rightly assume it was written in the back bedroom of the house (for those of you who need to know every detail). Stevie Wonder covered this on his 1970 album Signed, Sealed and Delivered. His version, which hit US #13, plays during the end credits of the 2005 movie Kicking And Screaming.In 2014, Wonder performed the song on the CBS special The Beatles: The Night That Changed America, which aired exactly 50 years after the group first performed on the Ed Sullivan Show. Wonder introduced the song by saying that he first heard it when he was 15 years old. “It had a nice thing to it, but I said, Someday I’m going to do it again, with a little more funky thing with it,” Wonder said when he introduced the song. In England, the song was used in commercials for Hewlett-Packard. The only time The Beatles played this live was on their final British tour in November/December 1965. McCartney didn’t perform the song until 1991, when he played it on his 1991 MTV Unplugged appearance. On his 2002 Back In The US tour, McCartney played a solo version on his acoustic guitar.